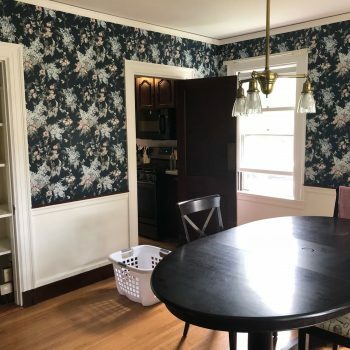 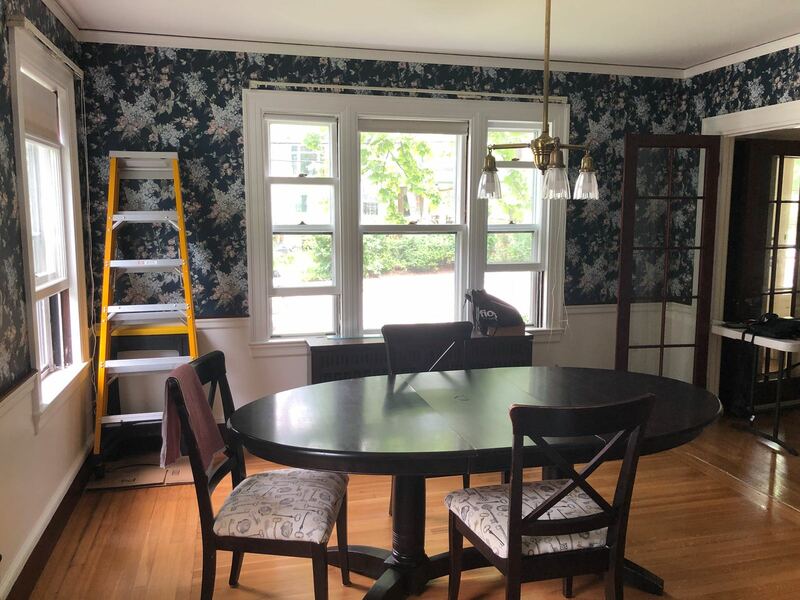 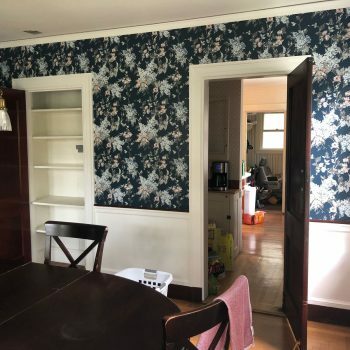 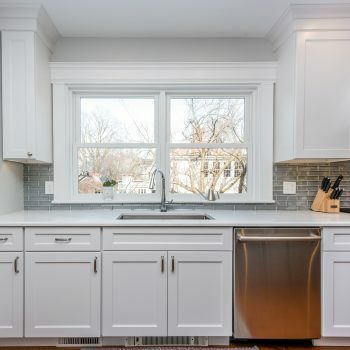 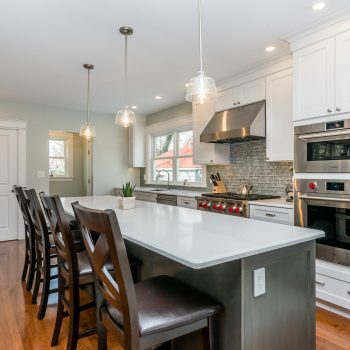 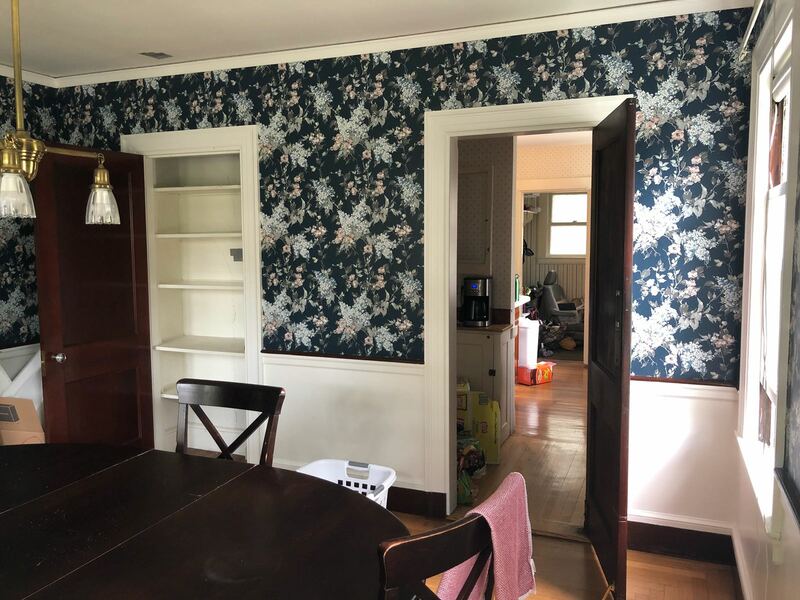 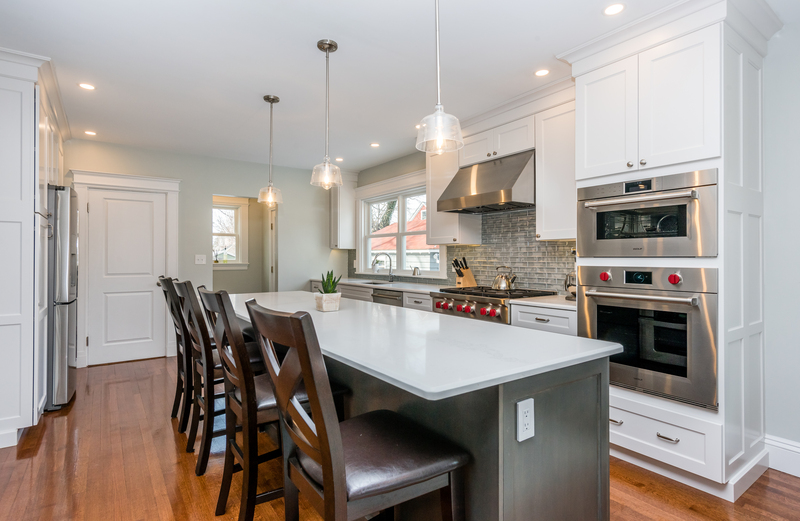 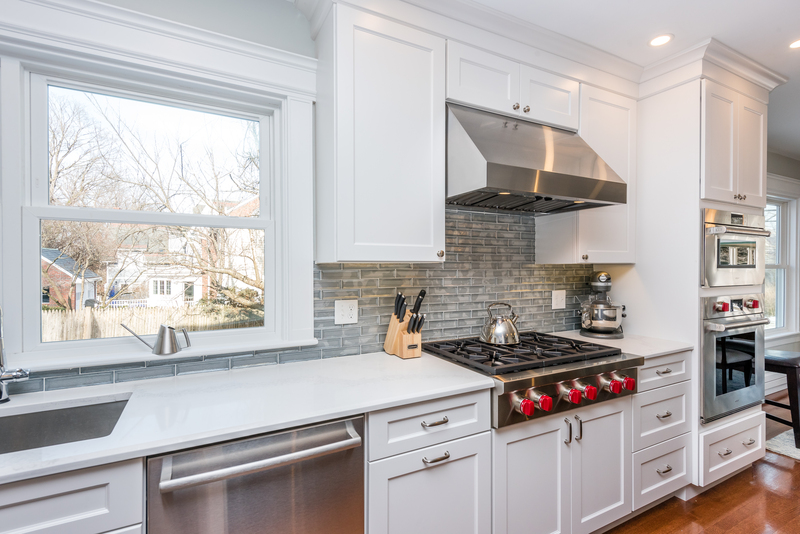 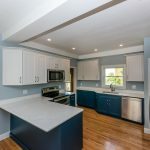 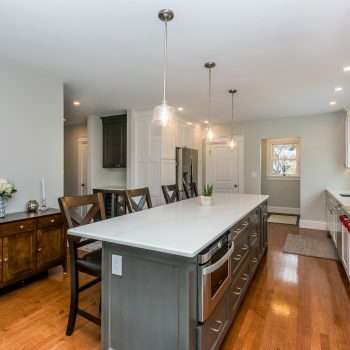 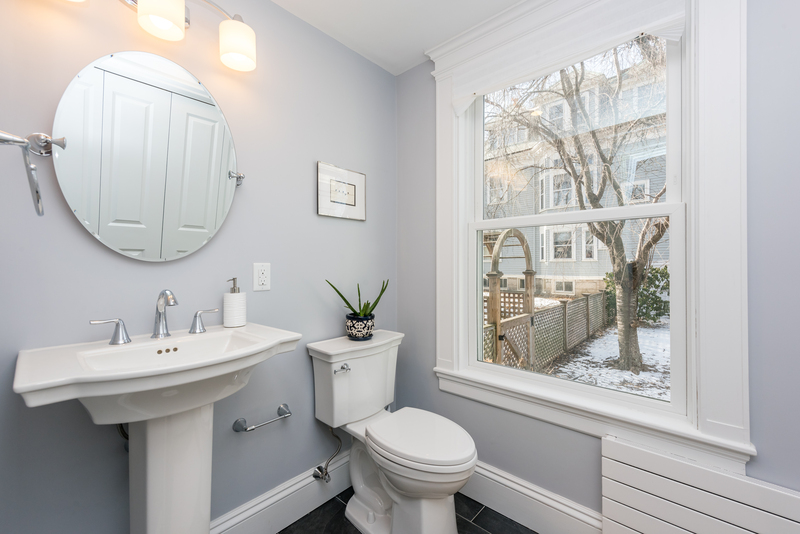 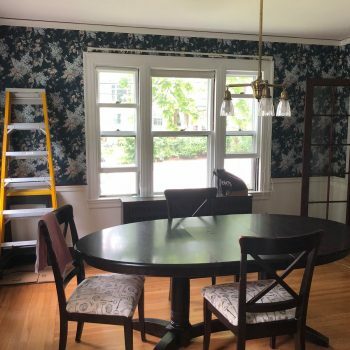 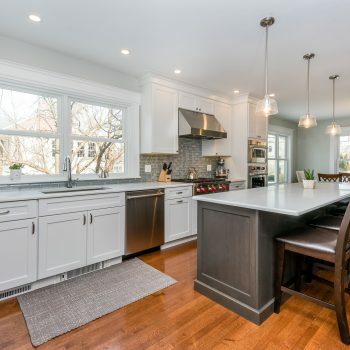 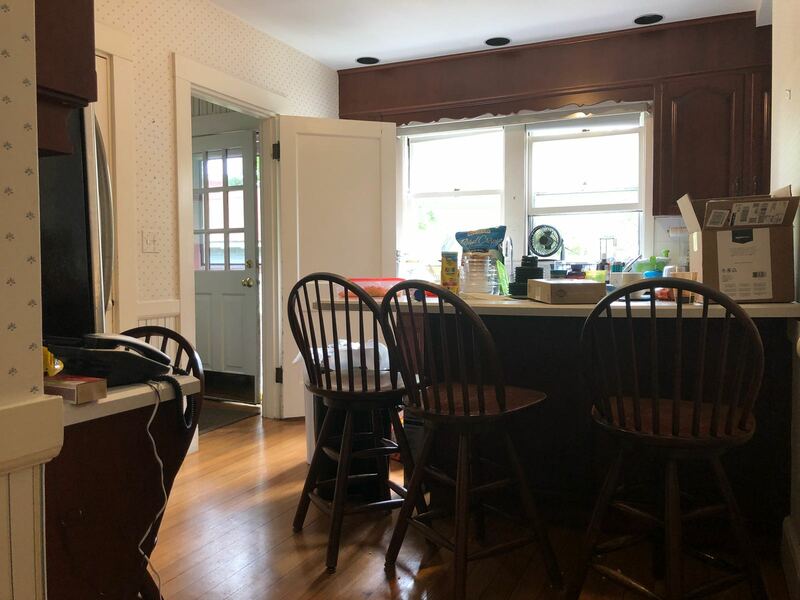 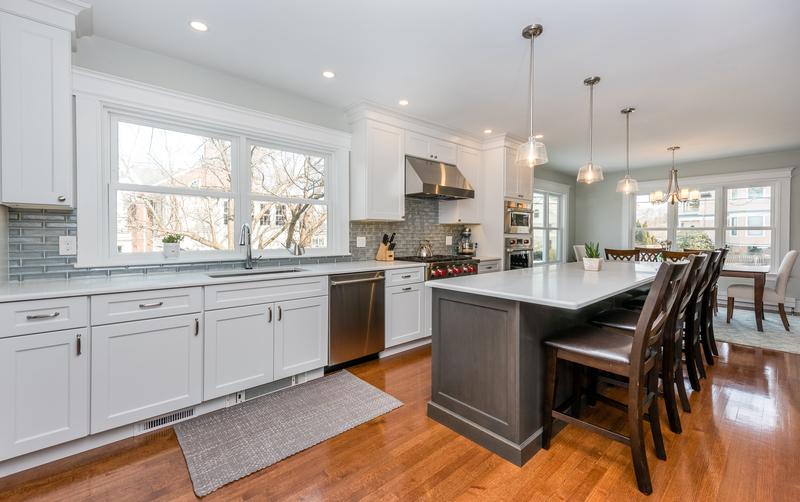 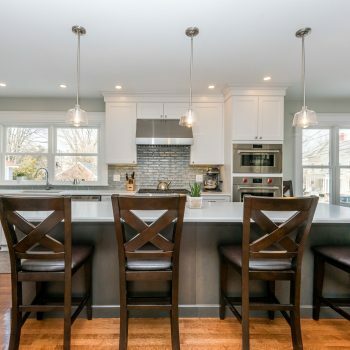 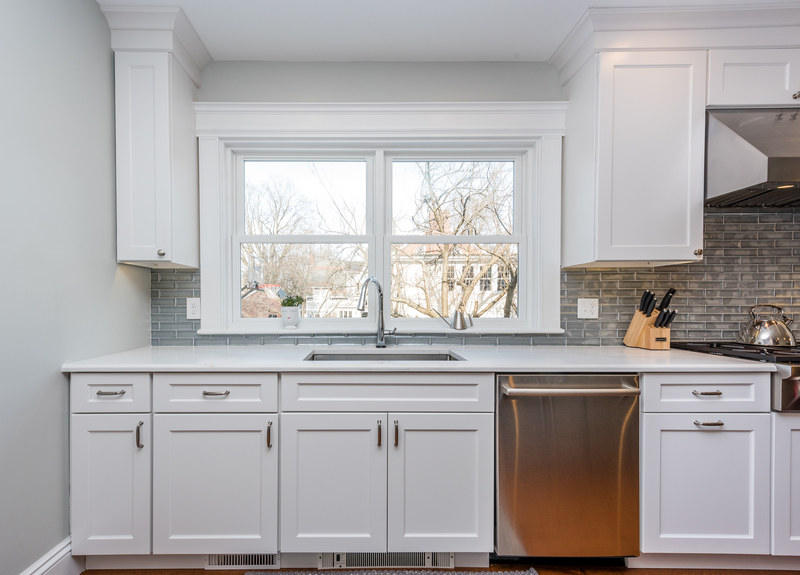 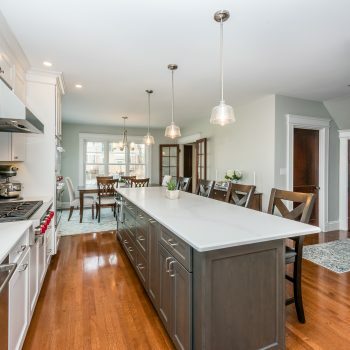 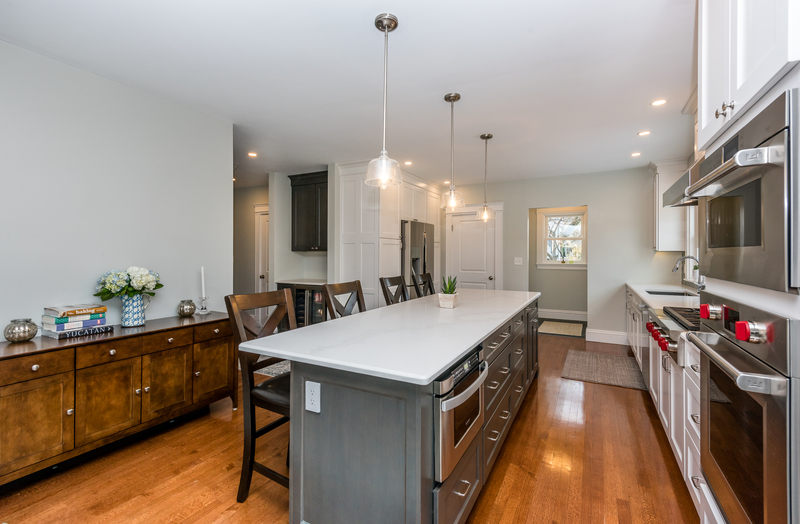 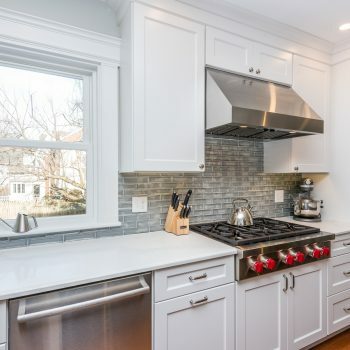 Bay State Refinishing & Remodeling helped this couple create the home of their dreams shortly after they purchased the home in Newton, MA. 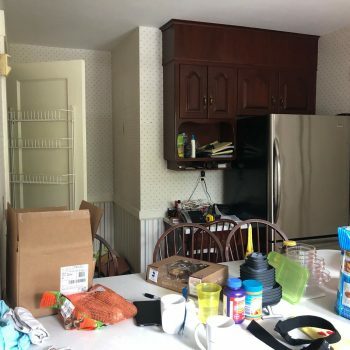 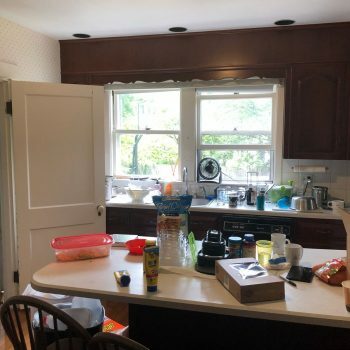 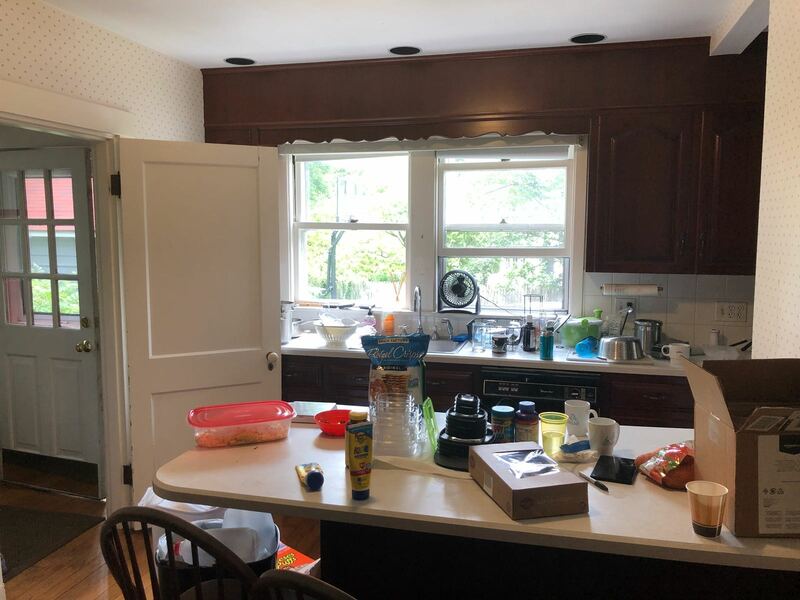 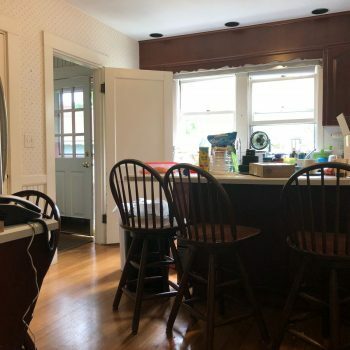 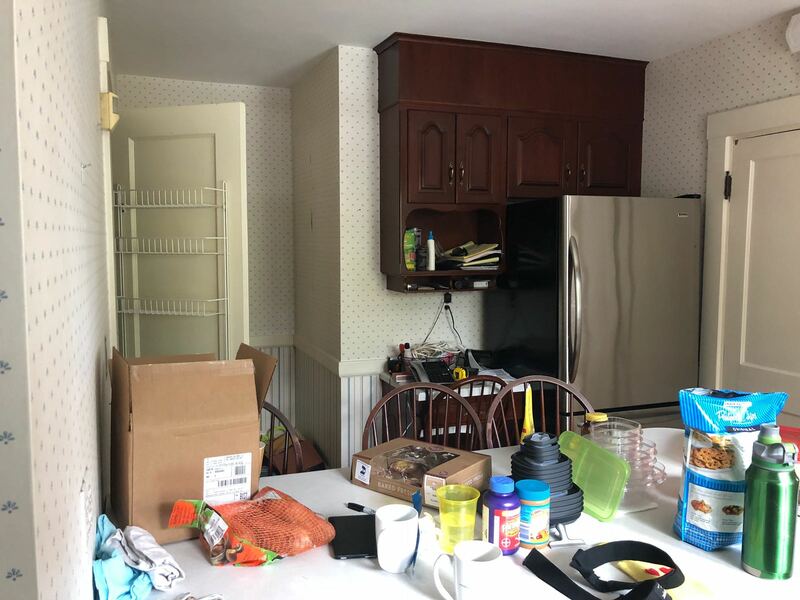 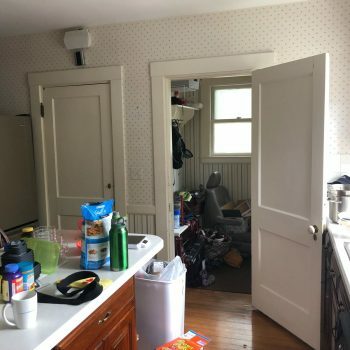 When the home was purchased, the kitchen wasn’t functional and they decided they wanted the layout to be completely open. 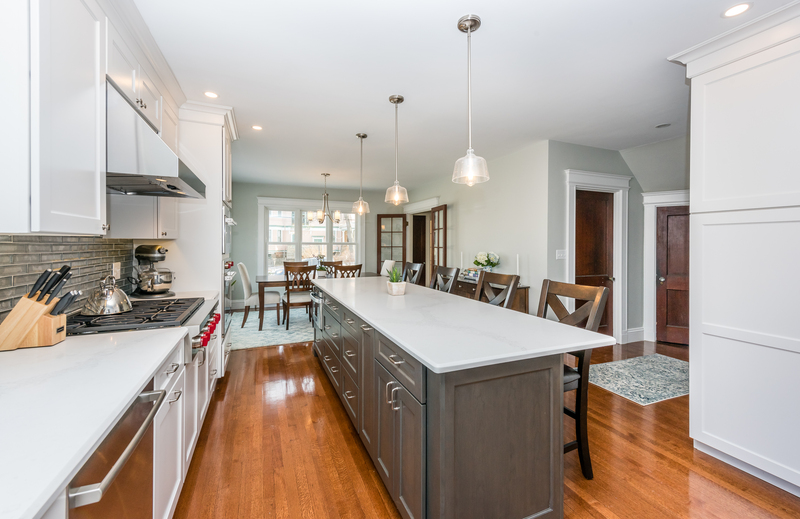 The team at Bay State Refinishing & Remodeling jumped right in and came up with a structural design to create the open concept layout. 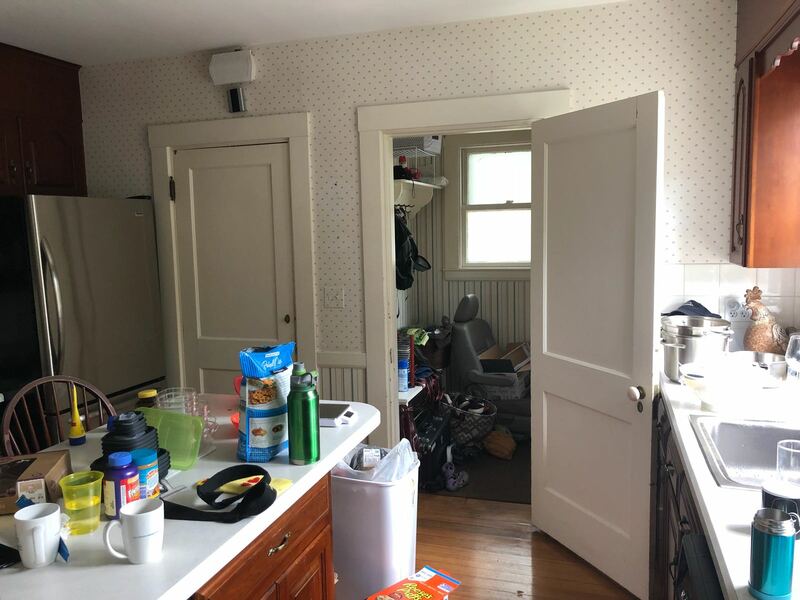 In addition, they planned the remodel so that the construction was completed swiftly and impede their ability to live in their new home. 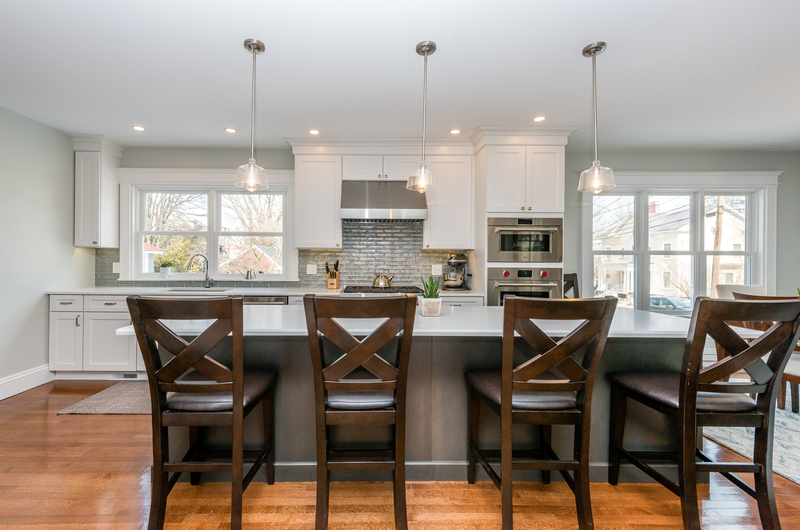 In addition to the structural updates, Bay State Refinishing & Remodeling’s designers helped come up with a contrasting finish for the island that carried over to the beautiful built-in wine and coffee bar. 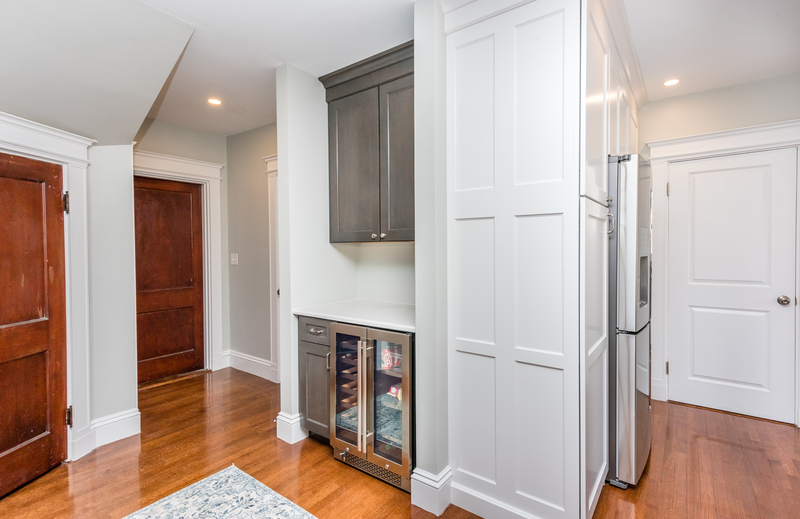 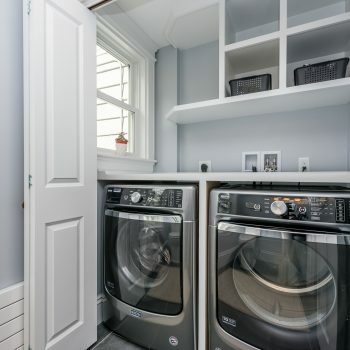 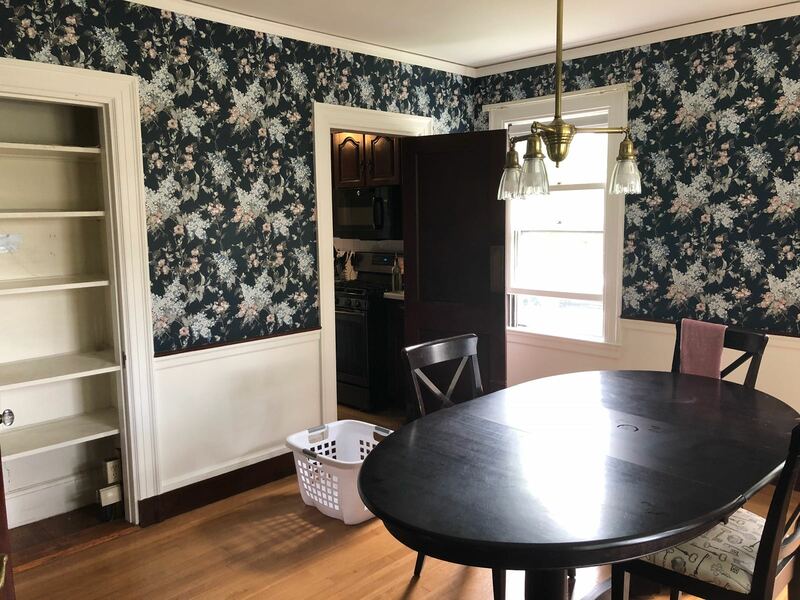 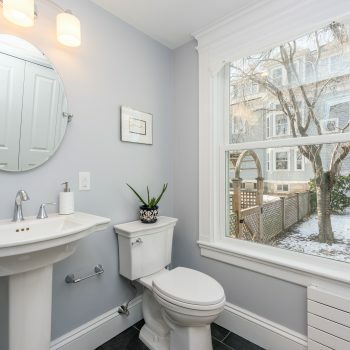 The team was able to create the space for the bar when the adjacent powder room was expanded to house the laundry room. 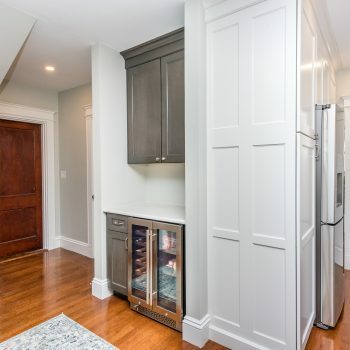 In the end, the client was thrilled with their new home. 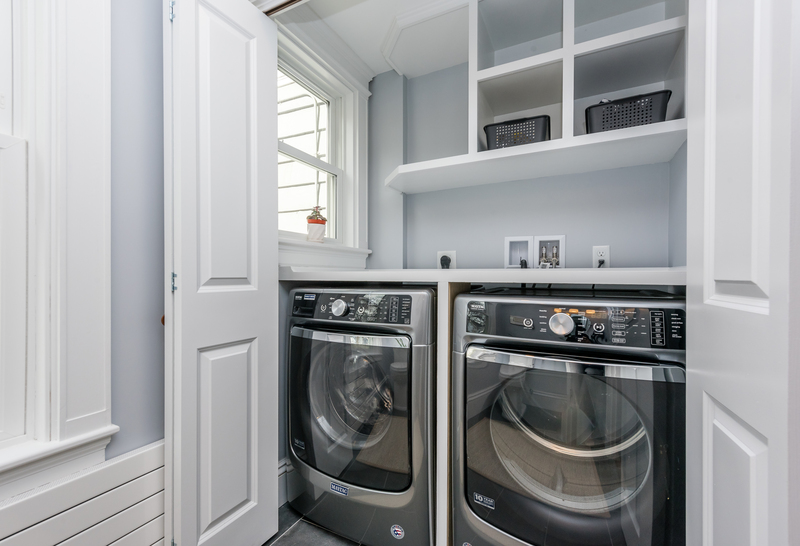 They loved the open concept layout, beautiful finishes, as well as having the laundry room relocated to the first floor of the house.